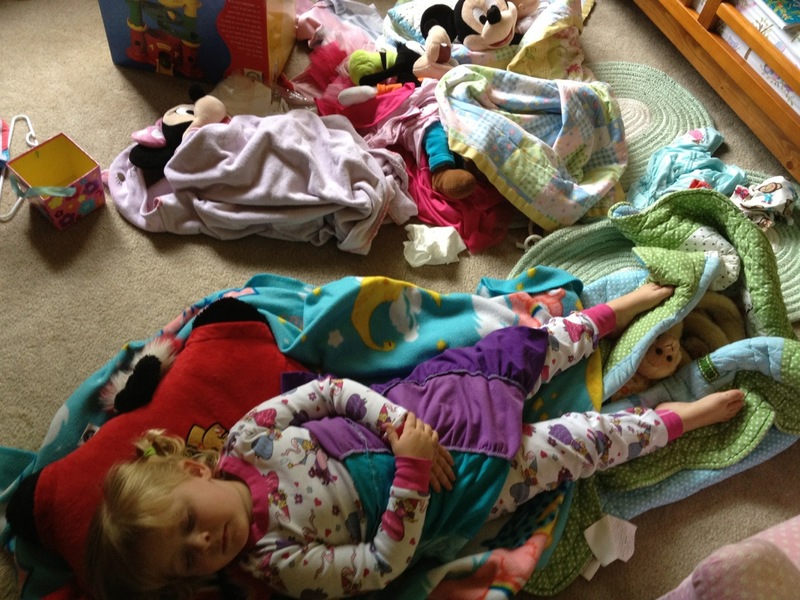 Bribed with a special trip to the movies last weekend, my daughter, for once, agreed to go to her room and take a nap. She went quietly – even meekly – up to her room to sleep. Not only had she put on her pajamas at 2pm (something we fight to get her to do at night), but also she made herself a bed on the floor and a sleeping bag for each and every stuffed animal she owns! Every blanket, every pillow, was carefully assigned to one of her plush, fuzzy friends. Notably, despite these elaborate machinations, the kid never did sleep. She tried though…and made me laugh in the process. She earned the movie.